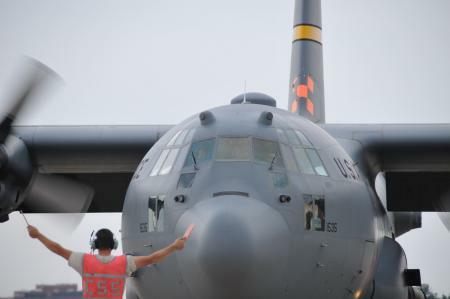 Six Air Force C-130s continue to battle forest fires in the western U.S.
On Wednesday, the C-130s made 18 airdrops, discharging about 56,000 gallons of fire retardant, according to U.S. Northern Command. All total, the aircraft have flown 123 airdrops and dumped more than 320,000 gallons of fire retardant on the blazes since being called into action on June 24. Citing privacy concerns, the North Carolina Air National Guard has still not identified two airmen injured when their C-130 crashed Sunday in South Dakota. The Charlotte Observer is reporting that one of the injured airmen is Josh Marlowe, of Shelby, N.C.